Summary: Brahman is the highest God of Hinduism. He is eternal, infinite, indescribable and beyond the mind and senses. This essay explains the difficulties in rationally understanding Brahman and knowing his transcendental reality. Any attempt to explain Brahman to the satisfaction of a mind that is driven by reason and familiar with the concretization of thought is fraught with enormous difficulties, because that which is inexplicable cannot be explained by any amount of reasoning and logic. Brahman is beyond the senses, beyond the mind, beyond our intelligence and dreams. Then, how can That be explained to the satisfaction of an intellectual and curious mind? The Rigvedic seers themselves had this problem in their mind when they called Him vaguely as "IT" or "This" or "That." Brahman is incomparable. Indefinable. He is both here and above. He does not fit into any category that we know of. He does not present himself in our state of duality except as that which he is not. So we may speak of Him vaguely as this and that, but we are not sure whether even such vague references are anywhere near the truth. The problem of understanding and knowing Brahman is comparable to our difficulties in envisioning the material universe that we know so far. With its billions of stars and galaxies and interstellar spaces that span express incredible distances, our material universe is a great enigma. Even with our modern computing machines we cannot truly measure its depth or dimensions. Its vastness and immensity stretch our minds and challenge our empirical knowledge. It overwhelms our sense of self-importance and makes us feel humble and tiny. We may envision a part of it, or weave beautiful science fiction stories using our imagination, but collectively or individually they do not render justice to the true dimensions of the universe in which we live. If such is our difficulty with the material universe, which is within the realm of our senses, how much more difficult it would be to know something which is beyond the limits of our minds and senses? The difficulty in understanding and knowing Brahman logically is well explained in the Kena Upanishad. Even gods are not free from their ignorance of Brahman (II.2.1). All that we know about Brahman is that we do not know him, except for some vague knowledge. Even after a prolonged spiritual practice and meditation, one cannot truly conclude whether one knows him or not. If a person thinks that he knows him, he does not know that he does not know. As the Upanishad declares, to whomsoever Brahman is not known, Brahman is known to him. However, to whomsoever Brahman is known, Brahman is not known to him. He is not understood by those who understand him, but understood by those who do not understand him. He can be known only when one directly experiences him at all levels of his consciousness. (II. 2. 2-4). A person who is on the path of liberation needs great discretion in his pursuit of Brahman. He should not incorrectly or ignorantly pursue him or make him offerings, since it can result in difficulties and lead him away from his objective. The Isa Upanishad warns the seekers of Brahman not to resort halfhearted measures. It declares that those who worship the unmanifested (asambhutim) Brahman enter blinding darkness whereas those who worship the manifested Brahman only (sambhutim) enter greater darkness. The right approach is to worship both and realize Brahman with a holistic approach. In other words, you cannot avoid your duties and responsibilities as a human being in the pursuit of liberation. You must do your duty and play your part in creation before you decide to renounce everything and pursue liberation. Even an enlightened seer like Yajnavalkya had a difficulty in explaining the nature of Brahman and his creation. While speaking to Sakalya in Brihadaranyaka Upanishad, he declares, "That Self is not this, not this. It is incomprehensible for it is not comprehended." In the same Upanishad, when Gargi Vacaknavi asks him too many questions. he expresses his irritation by saying, "Gargi, do not ask too many questions, for your head may fall off. You are asking so many questions about a divinity about whom we are not supposed to ask." Elsewhere in the same Upanishad (3.8.8) he tries to explain what Brahman is not to denote his inexplicable nature, suggesting that he is aksaram (imperishable), asthulam (not gross), ananu (not subtle), ahrasvam (nor short), adirgham (not long), achchayam (not shadow), atamah (not tamasic) and so on. What is the original state of Brahman? Even the seers do not seem to have an answer. For example, in the Chandogya Upanishad, Uddalaka Aruni instructs Svetaketu that in the beginning the Being was alone, one only, without a second. In the following verse, he presents the opposite idea stating that according to some people in the beginning the Non-Being was alone, without a second, and from that Non-Being the Being was produced. (VI.2.1). Thus, we can see that there are genuine difficulties in translating the essential reality of Brahman in human terms. To define him is to limit him. Even when we do so, we must remember that it is for convenience as an intellectual exercise to estimate the incomprehensibility of Brahman. In the following discussion we will explore why Brahman cannot be understood. Brahman is beyond the mind, the senses and speech. He is without name and form. You cannot quantify him or qualify him with your thoughts and words. Even if you do, your conclusion will be imperfect and incomplete because it a product of your imagination rather than the reality of him. Since Brahman is the subject who supports the mind and the senses and their movements, you can never know Brahman in your wakeful state. You can neither truthfully conceptualize him nor fully realize him with their help. On the other hand, when you fully shut them down and withdraw from them, you will not be able to remember anything in the state of self-absorption because your mind and senses do not participate in it. Thus, knowing Brahman with your intellect is a challenge. It is the same as knowing what happens in a deep sleep state. You remember nothing about it. Brahman cannot be known in a state of duality. He is not an object which can be known. He is known only ins a subjective state when the duality of the known and the knower are absent. That is, to know Brahman you must become one with Brahma, without any division or duality. You must experience oneness, or the union (Yoga). Unfortunately, the mind cannot experience it, because it can only grasp objects and experience the objective reality. Besides, the subjective state of the mind is not the same as the subjective state of the Self. For the Self, the mind is an object of enjoyment or an instrument of Nature, which it observes as its lord. For the same reason, the knowledge of Brahman cannot be taught. Whatever you learn about him from your guru or from the scriptures is but a near approximation only and does not truly represent him. Brahman is a state, which cannot be objectified without distorting it. 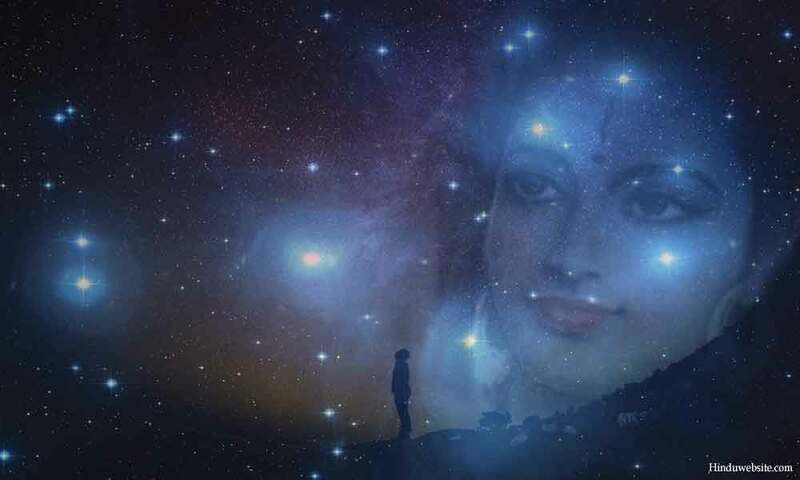 Hence, as the Prasna Upanishad declares, if you think you know him, perhaps you may not know him at all. Infinity cannot be comprehended with a finite mind or with the accumulated, memorial knowledge of the mind. Infinity implies absence of limits. Your knowing of an infinite reality can never be finite. You learning and knowing must go on indefinitely. It may be possible that even he may not know himself fully because he is infinite, with infinite possibilities and dimensions. As the scriptures declare, he is without a beginning and without an end. It means that you may merge into the essence of Brahman, but you will never know the boundaries of it. How far you may go in your quest for the knowledge of Brahman, there will still be gaps in your knowledge and understanding. Imagine how big the universe, and how much bigger must be that reality which supports it as its very soul. As lord Krishna states in the Bhagavadgita, he supports the entire creation with a tiny fraction (amsa) of him. The mind can only know the known in relation to what is already known. To know something, it needs another object or phenomenon with which it can be compared or contrasted. In other words, the mind cannot grasp what is unknown, or what does not exist. It is why we will not be able to fathom the future. Even if it grasps through conjecture or speculation, it may not correspond to the reality. Since Brahman has an unknown and unmanifested aspect, he can never be fully known by the human mind. We may gain some knowledge of his known aspects, but his unknown aspects will remain forever beyond our grasp. Brahman is known as the first being (Adi Purusha). He is uncreated, self-existing and before everything, known and unknown. So also, he is the only reality which remains constant when everything else changes or becomes dissolved or withdrawn in the end. Therefore, practically it is impossible for anyone, even gods, or those who manifest from him, to know him and his state before existence and after existence, except through inference or verbal testimony. Brahman is complete (purnam). As everything as well as nothing, he represents all aspects and dualities. There is nothing, which Brahman is not. He is both permanent and temporary, transcendent and immanent, destructible and indestructible, dependent and independent, good and evil, high and low, largest of the large and smallest of the small, with form and without form, with qualities and without qualities, and so on. Hence, nothing can be said about him with certainty. He can be neither diminished by deduction nor increased by addition. He is always the same, like the hub or a wheel. Yet he is without limits. Brahman pervades the whole universe. All forms and aspects of Brahman are Brahman only. Each of them may have further aspects, states, characteristics and qualities. No one can mentally or intellectually grasp his diversity, universality and omnipotence. In a state of self-absorption, you may know the essence of his supreme state or his blissful nature, but it will only be limited to certain aspects of him. It may help you vaguely understand his purest and highest state, but does let you know his universal dimensions or his innumerable forms. Besides, some aspects of him are subtle and beyond the reach of even gods. It is why spiritual masters and self-realized yogis may have realized Brahman, but do not know much about the material universe or worldly knowledge. We are subject to egoism, gunas, desires, attachments, attraction and aversion, which filter our perceptions and cloud our judgment. Even the simple facts of life we cannot fully or correctly grasp. We may have opinions about things or people. They are but opinions only, not facts. When we have difficulty in understanding simple, objective phenomena, how can we even grasp that which is hidden, silent and passive. The scripture say that the Self is the passive, witness and the ultimate enjoyer. For the Self, we are the objects or the enjoyed. Hence, it is impossible to know Brahman objectively. For that, we have to become absorbed in the Self by overcoming the filters and the impurities of our minds and bodies, which in itself is a hugely difficult task. In the scriptures we find two fundamental approaches or methods to know Brahman. Of them the first one is a positive approach and the second one negative. Both are useful and may rely upon both inductive and deductive reasoning. However, as we will see below both are subject to certain limitations. How do you know that something is true or false? To ascertain that, our ancient seers and philosophers established some standards. They are known as pramanas or standard measures. The most well known pramanas, which are common to most schools of Hinduism are four namely pratyaksha (direct knowing), anumana (indirect knowing), upamana (knowing by example or symbolism) and sabda (verbal testimony). There are others, but these are the most common. Each method has its own value and certain limitations. Of them, the first three are based upon experiential or memorial knowledge and the last one upon scriptural knowledge. Direct perception or experience is considered the best. However, direct experience may not always lead to truth since the mind can be subject to delusion, ignorance, bias or the influence of the gunas. Besides, everything about Brahman or the existence cannot be known through direct experience since our resources are limited and we have finite capacities. Indirect knowledge through inference, belief or supposition is helpful where we may not have direct experience. For example, you may have never visited the Arctic, but you know that it exists because you have learned from others, watched it on television or seen its photographs. Since they are reliable sources, you may infer that it must be true. Another example is smoke. If you see smoke from far arising from the top of a forest covered mountain, you may infer that there may either natural or manmade fire. However, you cannot always rely upon that knowledge, since people may not always tell you truth or distort it because of their own desires, selfishness, or vested interest, as we see it regularly happening in case of many news reports and opinion columns. Knowledge by comparison or example is another way to understand difficult concepts and truths such as God or liberation. Hinduism heavily relies upon symbols, examples, mythical accounts, icons, images and narratives to reveal meta physical truths of existence such as creation of the world or the manifestations of God, for which it is often ridiculed and criticized as primitive. The approach has some limitations, but it is effective when the mind cannot grasp complex phenomena. It is the same as using diagrams, graphs, models, and workflows to explain difficult ideas, hypotheses or processes. Even science relies upon it. However, one should be careful not to stretch the comparison beyond a point and not to lose the distinction between reality and projection. Without discretion, this method may degenerate into confusion as one may mistake falsehood for truth or illusion for reality. Verbal testimony in modern parlance is the documentary evidence. All the above methods are useful to ascertain experiential truths, or those that are within the realm of objective reality. However, what about those truths that are ungraspable by the mind and the senses and cannot be experienced at all in the normal, wakeful state? For example, there is no way of knowing metaphysical truths such as the nature of Self, or God, celestial events such as the origin of gods, or events that are associated with the beginning of creation. According to our tradition, to ascertain such truths we should rely upon the words of God only, who is the personification of Truth and who alone is the knower of all. Since, God does not speak to everyone, one should rely upon the scriptures, which contain his worlds or revelations. Thus, sabda pramana, verbal testimony or validation of truth by sacred texts, has a great significance in Hinduism. Both the Vedas and the Agamas are used for this purpose. Where the texts are not useful, the law books suggest that one should seek the opinion of two or more enlightened people and go by their consensus opinion. For example, you can use this method in contemplation to withdraw your mind and body and go deeper into the silent zone. You may begin by asking, “Who am I am,” and each time keep on answering one or more of the following until you are fully exhausted and enter a deep relaxation state. “I am not this body, I am not this mind, I am not the eyes, the ears, the nose, the tongue, the skin, I am not the heart, I am not the breath, I am not the speech, I am not name and form, I am not what others see me, I am not the owner of the things, I am not the feelings, I am not the memory, I am not the knowledge...” When you discard all that you are not and exhaust all your answers and ideas, it may at times culminate in deeper peace or even self-absorption. The Brihadaranyaka Upanishad (5.5.1) declares that Brahman is Truth (Satyam Brahma). While the assertion seems to be very simple, problems arise when you try to understand or define truth. Is it what you perceive, experience, or know, or is it something beyond all that? Indeed, no one can truly answer this question. The truth of truth is indeterminate, relational, and relative in the world of duality, while the absolute truths are completely beyond our grasp. Even science cannot truly and satisfactorily answer this question. Those who are familiar with quantum physics know that at the subatomic level the essential reality of elementary particles is indeterminate or indescribable because it arises only in a state of interaction. In their natural state the subatomic particles exist not as constants but as probabilities. Perhaps, they may not even exist or do not have any specific location. Alternatively, the same particle may simultaneously exist at different locations. Their behavior is unpredictable and random. They exist only when they interact with something or leap from one orbit to another. When nothing disturbs them, they do not exist at all. Physicists are baffled by these contradictions and are still grappling with these findings. Is is true that nothing is determinate about existence? It is possible that even at other levels, there is no permanent reality, but only that which arises in relation to something, or in response to something, or as part of the transformation of matter from one state to another. If there is any permanent reality, it must be the transcendental reality, which is beyond them, and which science cannot ascertain, at least for now.